Islamabad: Pakistan on Thursday conducted a successful launch of short range surface to surface ballistic missile ‘Nasr’ as part of Army Strategic Forces Command training exercise. The quad salvo was launched on January 24 while single shots on January 28 and 31. 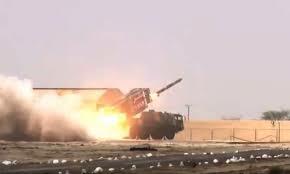 The second phase of this exercise was aimed at testing the extreme in-flight maneuverability, including the end flight maneuverability; capable of defeating, by assured penetration, any currently available BMD system in the neighborhood of country or any other system under procurement/development. The launch was witnessed by General Zubair Mahmood Hayat, Chairman Joint Chiefs of Staff Committee and other senior officials. Chairman JCS Committee appreciated the participating troops, scientists and engineers on achieving yet another milestone of national significance towards Pakistan’s strategic deterrence capability, said a military statement. He praised the professional attributes and dedicated efforts of all concerned which made possible the successful launch of Weapon System. 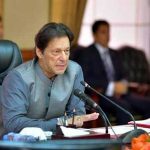 President Arif Alvi and Prime Minister Imran Khan alongwith Services Chiefs have congratulated the scientists, engineers and the participating troops on their outstanding achievement.